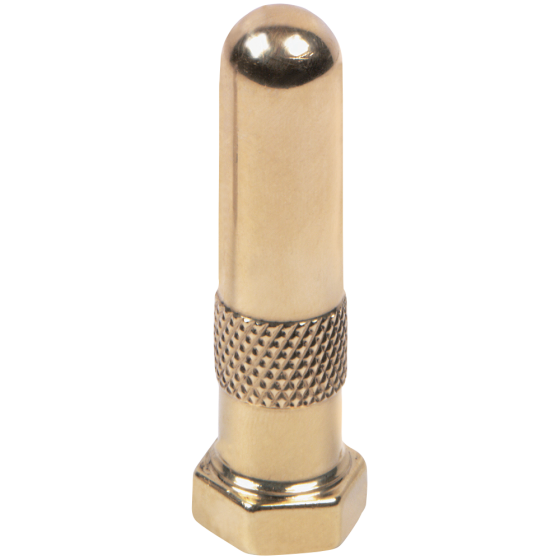 This brass dust cover for rubber stem valves bring period correct style to early vehicles. Brass valve stem covers and dust caps for cars are excellent detail accessories for restored cars and trucks. 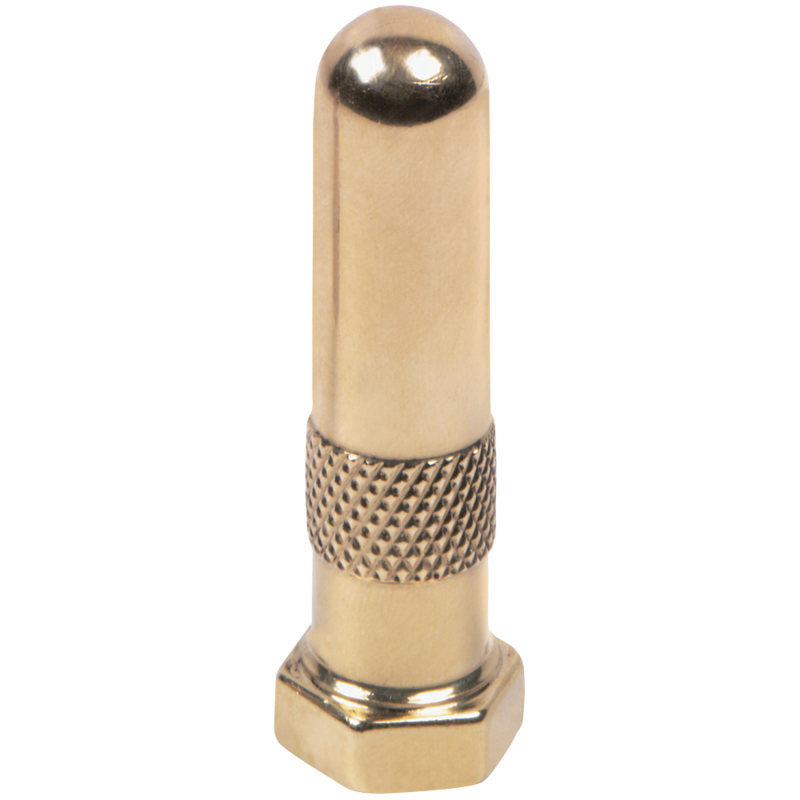 This polished brass cover for rubber stem vales is designed specifically to fit over TR135 rubber valve stems. Cover is approximately 2 1/2 inches in length. Can you fill air through the cover? The cover must be removed to fill the tire with air. This is true for any other cap. Just unscrew it and remove it from the stem to fill the tire. Will it fit when tubes are used with tires attached to demountable rims over wooden wheels (Model T Ford) ? Yes, as long as these are installed on TR135 rubber stems we have seen these work with wooden wheels in most cases. The price is for a single piece.